Spring has officially arrived, and with that in mind, CroisiEurope is announcing its 2020 cruise departures. From the canals of France to the rivers of Central Europe, Asia or the shores of Southern Africa’s Lake Kariba, CroisiEurope is ready to take you to there in 2020. Guests who book a new 2020 European cruise departure by August 31, 2019, will receive 15 percent off per person. A seven-night cruise from Budapest to Munich that includes a performance of the Passion Play in legendary Oberammergau. The cruise calls at Bratislava, Vienna, Melk and Passau where guests disembark and transfer to a hotel for two nights, during which they’ll attend the spectacular Passion Play. Cruise prices start at $3,693 per person and include tickets to the Passion Play and two nights in a hotel. This itinerary also operates in reverse (currently sold out). July 20, 2020, departure date still available. 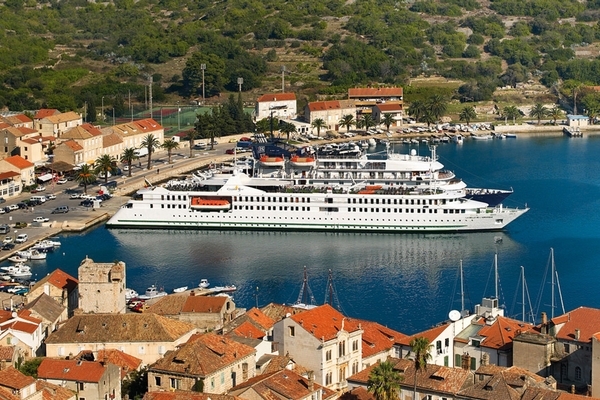 CroisiEurope is also offering a breathtaking seven-night coastal cruise along the Adriatic visiting Croatia, Montenegro, Albania and Greece. It operates roundtrip from Dubrovnik and visits Corfu, Saranda, Vlore, Durres and Bar with excursions to the ancient ruins of Butrint, UNESCO World Heritage Site Berat and the magnificent old town of Stari Bar. Cruise prices start at $2,774 per person. The number of departures between February and October 2020 was increased compared to 2019 due to demand. There is also an extraordinary seven-night coastal cruise operating roundtrip from Larnaca, Cyprus, exploring the exceptional treasures of Cyprus and the Holy Land. The cruise calls at Haifa and Limassol with excursions to Jerusalem and Nazareth as well as to Bethlehem and Jericho, Galilee, Nicosia, Kyrenia and Paphos. Cruise prices start at $2,286 per person with departures between January and March 2020. CroisiEurope is known internationally as one of the largest River Cruise Lines–with more than 55 ships in its fleet. Aside from their European River Cruises, CroisiEurope’s cruise portfolio includes canal barges in France, coastal cruises, the Mekong River in Vietnam and Cambodia, and their newest endeavor–a Safari-style cruise on Lake Kariba, Zimbabwe. North American travelers can find all 2020 cruise departures now.